The circa 1880 town of Pullman, now a Chicago neighborhood, provided the setting for the evolution of industrial manufacturing, the advancement of town planning, architecture, the foundation of U.S. labor law and the advancement of civil liberties for African-Americans. In February 2015, a Presidential Proclamation entrusted Pullman to the National Park Service. 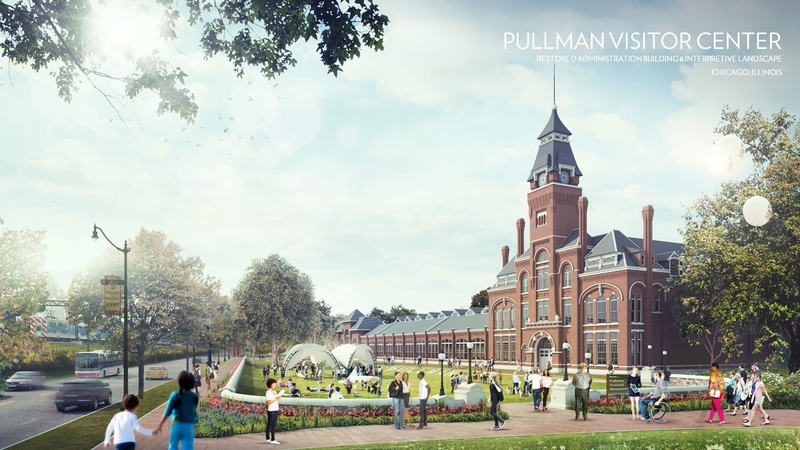 Later that year, a technical team comprised of 40 volunteer architects, landscape architects, city planners, economists and engineers assembled to work with Pullman stakeholders to develop a roadmap for improvement and operations.